This week continues Forest's fifth consecutive week of Heisei Godzilla films. This time around it's Godzilla Vs Space Godzilla. Cory honors the memory of horror legend George A. Romero by shedding some light on one of his lesser viewed films, Martin. The Horror Duo chat about their summer vacations - Forest was rollin' on a river with beer, and Cory was in Michigan drinking at brew pubs and distilleries. All this and watching the home videos of strangers. For more Slaughter Film news and reviews, as well as show notes and special events, make sure to visit our website; SlaughterFilm.com. 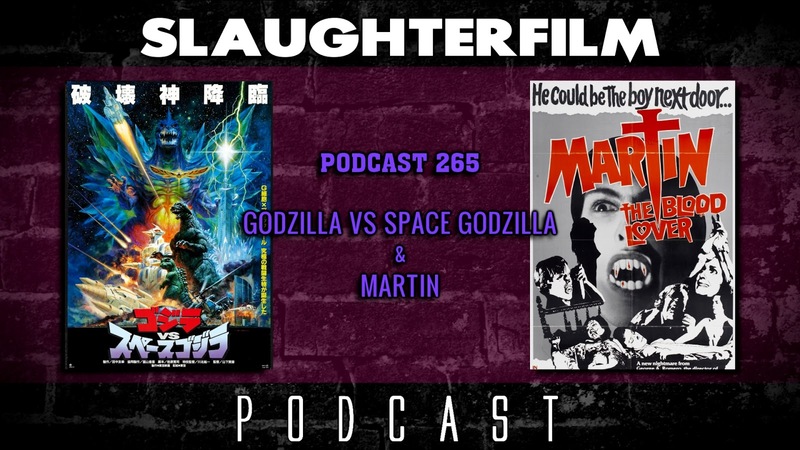 32:23 - "Godzilla Vs Space Godzilla"